Subterranean Press has posted the cover art for The Five. You can click on the image below to see a larger version. 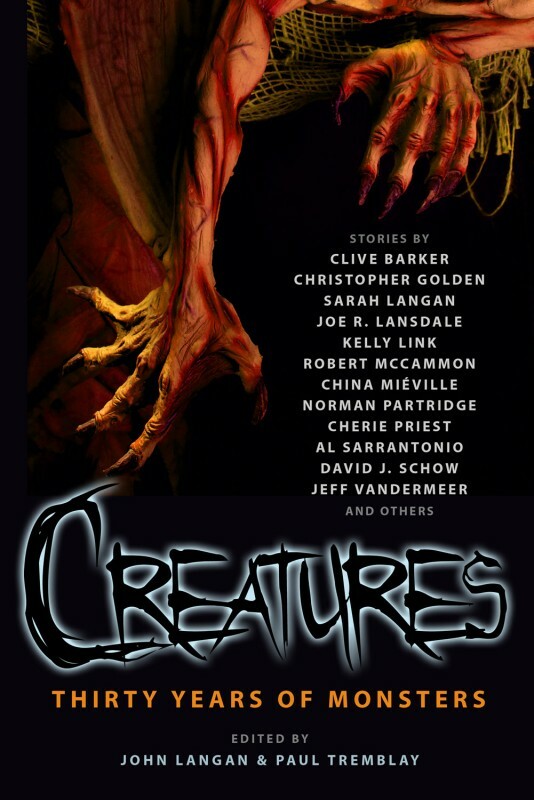 Robert McCammon’s Bram-Stoker Award-winning short story “The Deep End” will be reprinted later this year in a new anthology entitled Creatures: Thirty Years of Monsters. The book is edited by John Langan and Paul Tremblay. 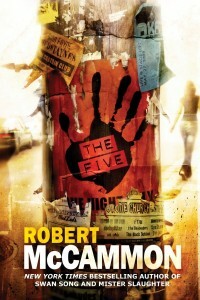 It will be published in November 2011 as a trade paperback by Prime Books. 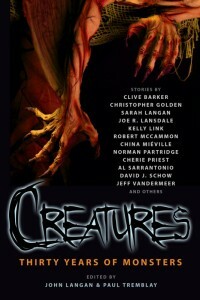 The full Table of Contents for the book can be found here. Fan Kazuki Tamada sent in another illustration inspired by The Wolf’s Hour. 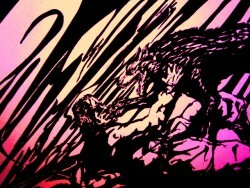 You can see the image on Kazuki’s Fan Art page or click on the image below. I recently acquired a copy of the trade hardcover edition of Mister Slaughter that has a full-page, original remarque done by Vincent Chong. I’ve added a scan of the image to the Book Cover Gallery.